I've been using the LG Optimus Elite W from Virgin Mobile for a while now both as an active test phone and more recently as a glorified iPod-like mini-Tablet to surf the web and run apps. Actually, it would be more accurate to say that my kids have been using it as such. This device was recently re-activated as part of a holiday promotion and I've gotten a chance to re-test its "phone call" abilities, and they're pretty good. I made a call from somewhat sparsely populated area of Maryland, and the voice quality was pretty good. I'm still getting the hang of reviewing these smart phones partly because they do seem pretty similar. For the most part here, we'll focus on their usefulness and convenience and leave the gadget sites to focus on the benchmarks and numbers. So we'll cover the physical features, the camera, and how easy it is or isn't to use this phone to share and interact with others. Yes, you can play those games as well. The 3.5 inch screen is pretty good size for viewing pages and apps and still small enough not to require any special accommodations. The touchscreen is pretty responsive. In fact, for the the first month or so I actually kept the clear plastic cover that came with it on the screen as a de-facto protector, and I could use it just fine. Eventually dirty fingers and a neurotic need to periodic need to lift up the plastic to make sure it wasn't sticking to the screen eventually required me to get rid of it. The glass on the screen below it was, of course, still pristine. Note: No special claims are made by LG or Virgin about the ruggedness of the screen, so you may want to be somewhat careful with it. Most apps and games seem to run well on this handset running version 2.3.7 of the Android OS. There are a couple of popular apps that require version 4 of the operating system and therefore won't run on this phone. 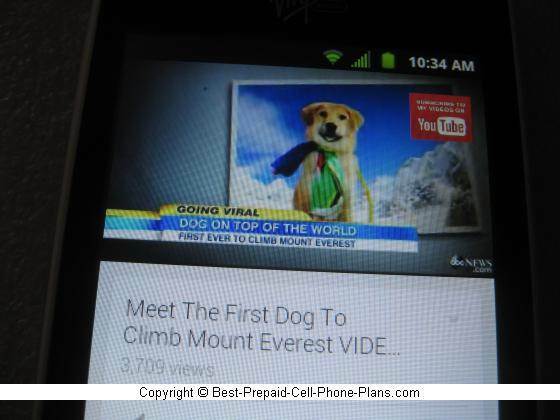 Examples are the Chrome Web browser (rather than the included Android browser) and the Vine video micro-blogging app. However, other similar apps such as Instagram and SnapChat seem to install and work just fine. What you'll be sharing with those apps will include photos and videos, so let's take a look at the camera. One thing I forgot to mention when I initially wrote this review and also forgot to mention in the associated video is that there's no native app or utility for killing running apps. I don't know how important this is for Android 2.3 phones, but it drives me nuts! Anyway, there are plenty of third-party apps that do this and they're available in the Google Play store. The Otimus Elite has a 5 megapixel camera with LED flash. The flash is especially useful for low light pictures such as indoor snapshot and shadow-strewn photos outdoors. 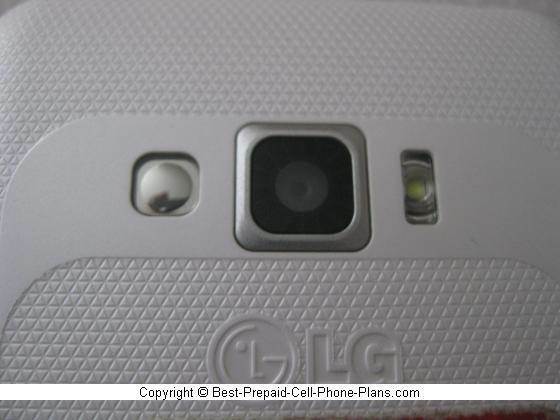 At 5 MP the photos have a resolution of 2560 x 1920 pixels. The settings are pretty easy to configure, and there are a small number of tweaks you can make. 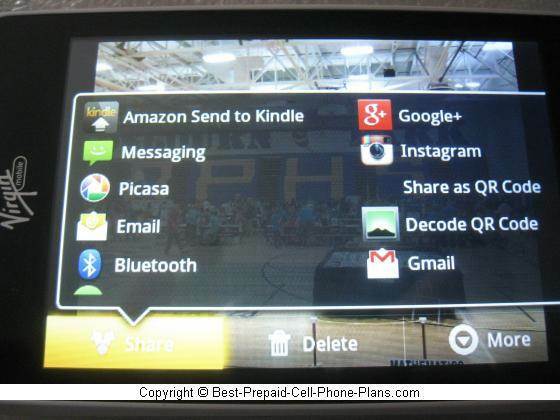 Both photos and video can then be shared or uploaded with any of the apps that can interface with the camera. Examples of such apps include the native email and messaging apps, YouTube, Instagram, Google+ etc. 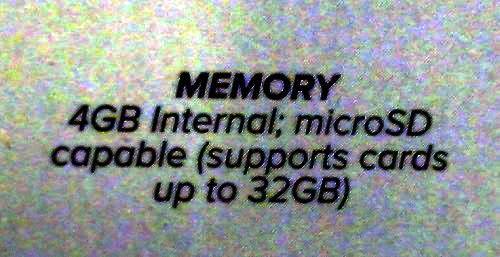 Looking at the box, I noticed that this phone had 4 GB of internal memory which is pretty high even these days for a basic smartphone. This may be why it seemed to run most apps pretty well. 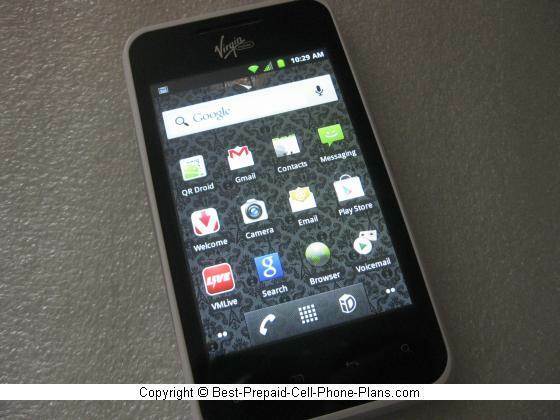 In addition to its capabilities as an Android phone, the Elite also has some services specific to Virgin Mobile. 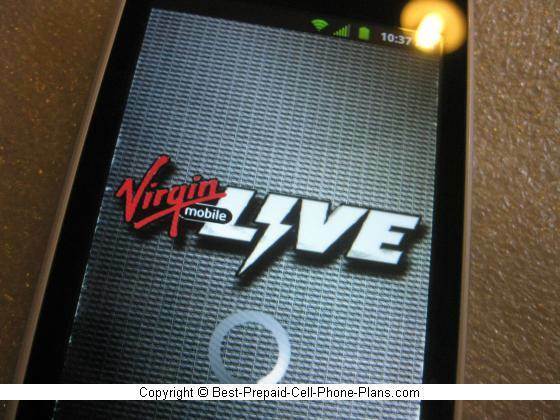 These include VM Live, a music streaming service. There's also an app to manage your account so you can top-up or refill your account. An app called MobileID allows you to customize your experience depending on your preferences. You can swap these out anytime you want. You can get this phone for under $100 when it's available (it has been in and out of stock a couple of times in the last few months). It is compatible with any of the BeyondTalk plans that include unlimited data along with varying amounts of voice minutes. Here are a few other options for no-contract smart phones. Straight Talk carries a wide selection of smart phones running on all the major networks. PlatinumTel (now PTEL) offers smart phones and plans under the T-Mobile network. Kajeet targets a younger age group and offers Android phones with smart filters and parental controls.